The cold blustery days of winter are well behind us and the many days filled with the chill of the cold winter winds that blow memories of the warm days of summer are gone. The first hint of early spring with its faint wisp of hope for what would be planting season soon arrived. 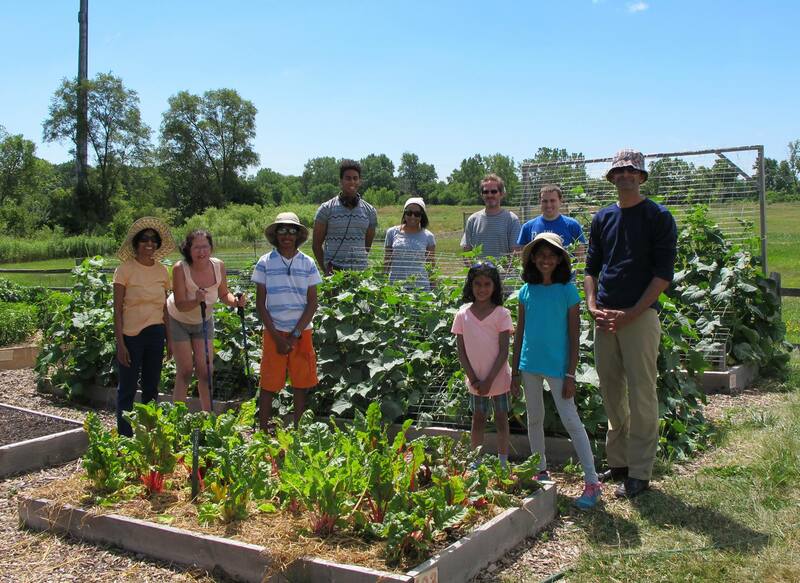 Looking over the garden plan from 2015 with what worked and what could have been done better becomes a blur as this review reminds us of the crops that our partner Community Christian Church is able to obtain through the Northern Illinois Food Bank. Tomatoes come in pallet size so we can eliminate this from our garden plan; carrots, onions, and potatoes are all available to food pantries to supplement the many canned goods they receive. Garden plan lists mutually made by members of our nonprofit organization conclude that greens; with lettuce, kale, spinach, Swiss chard, will be planted in our garden. Beets, cucumbers, green beans, summer squash and both hot and sweet peppers, cabbage and tomatillos, will alsoplay a role. 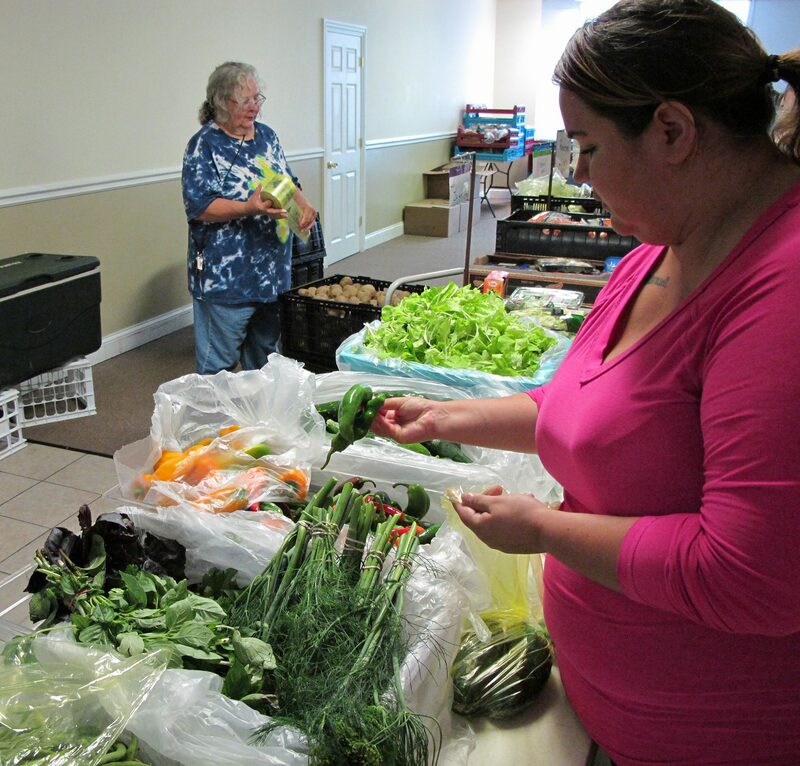 Multiple beds of each crop were discussed with Community Christian Church and Liberty Prairie Foundation and our hopes of what to provide to those coming to the pantry were formalized. The many familiar sounds of spring were in the air and with it the many seeds needed were obtained as we began to prepare our garden for planting. With the approval of the Waukegan Park District to an additional 20 new raised beds in the Madeleine Fuqua Garden, the Youth Conservation Corp, another nonprofit organization, under the direction of Tom Berry, constructed and filled these beds with soil and compost and before our eyes the raised beds appeared like mushrooms in the morning haze. Soon the beds were planted with hopes for a productive summer. The spring days then passed, each different and yet very much the same, temperatures became stable as the many green seedlings began to pop out of the ground. The garden had again stirred to life. Soon the chance of frost was only a memory. Seedlings from the many nurseries began to arrive and our dedicated volunteers put these plants to be in their respective beds. A new volunteer, hopeful that he could make a needed contribution put bed numbers on each bed to help us with garden communication. Our partner, the Waukegan Park District, laid a water line to the southern edge of the garden making watering more doable for our volunteers. Each bed and each plant raised their voice in thanks to this most welcome improvement. The hot days of summer soon came in haste, letting us know that its control was out of the hands of mortal men. 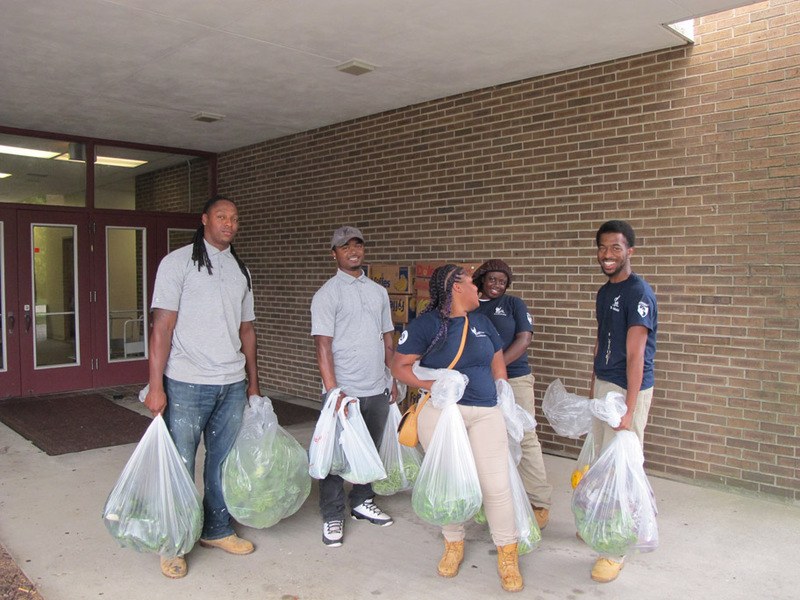 The first harvest of 06/25/16 brought 173 pounds of produce; 99 pounds of this were greens. 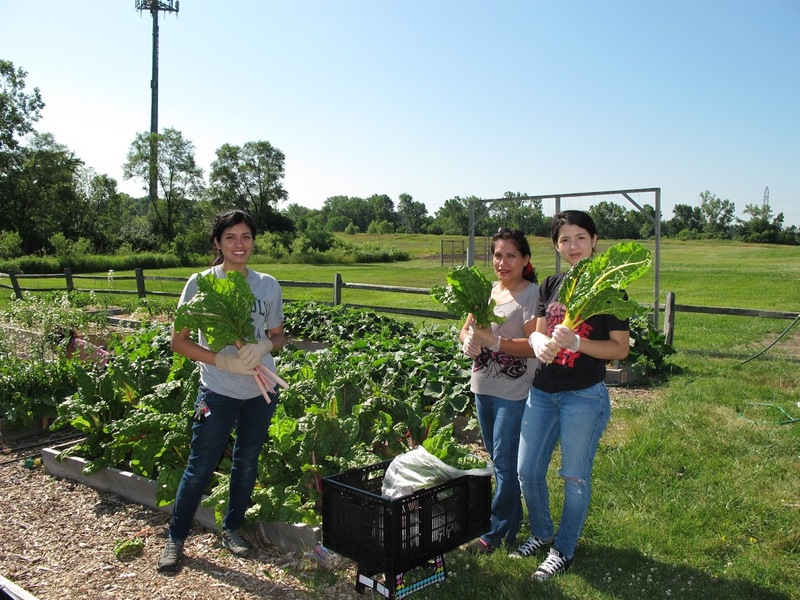 Four beds of cucumbers plants that were provided by Mary’s Greenhouse of Gurnee yielded 528 pounds of cucumbers. 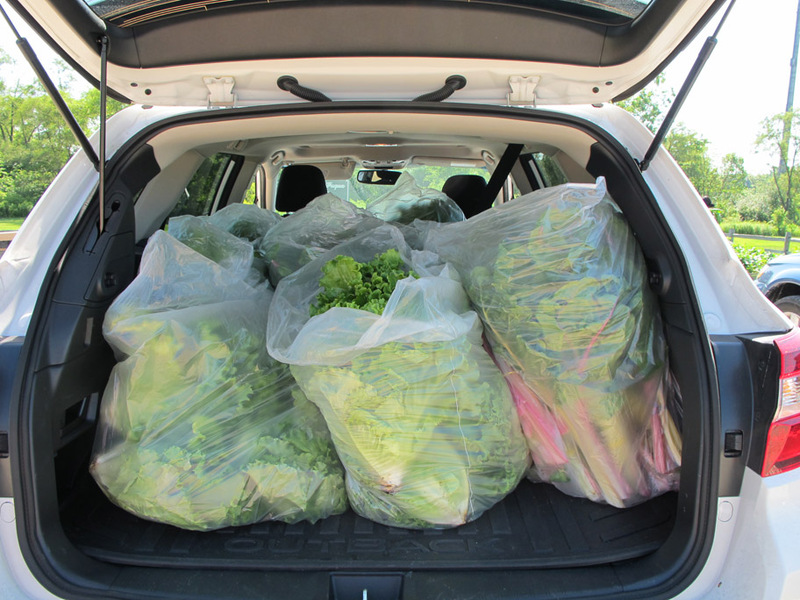 Despite long periods without rain and humid hot days the 9 weeks of harvest in July and August brought an additional 1,139 pounds nutritious produce for the many clients who rely on the food pantry. With the heat of summer winding down our volunteers are busy seeding in fall leafy green crops such as spinach, Asian greens, and lettuce. Soon these too will be producing an abundance of leaves, all greatly appreciated by pantry customers. Youth Conservation Corps is wrapping up construction of our much needed new tool shed and not only does it look much nicer than our current one, but will be twice the size. To all who have supported us this year we say thank you. 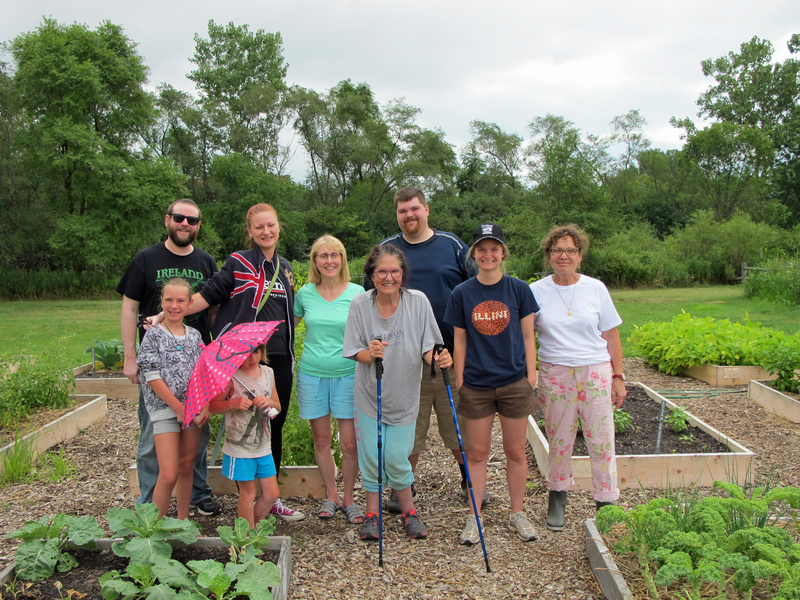 To our community partners who generously donated plants, giving us a quick head start in the spring we are very grateful.Whether your contribution was monetary, or perhaps you joined us for harvest, a class or to weed a bed these are all what make our mission possible. 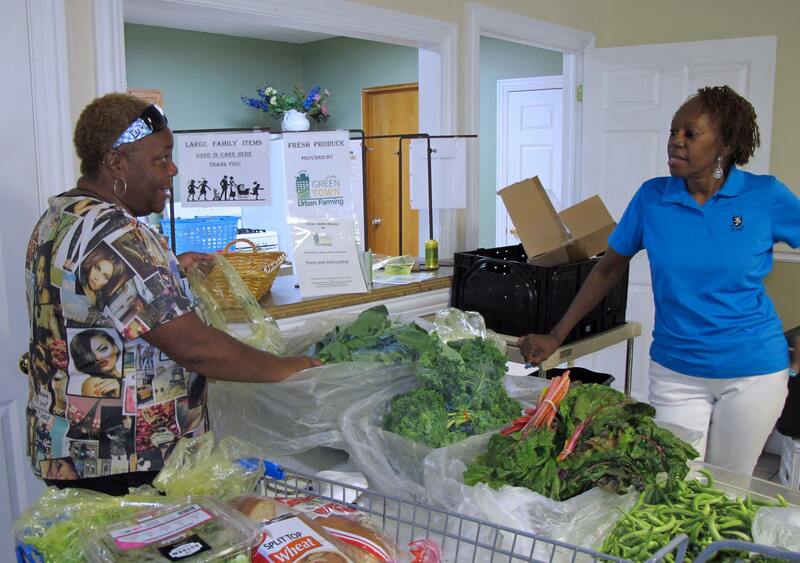 To date over 1,600 pounds of produce has been given to the church pantry, who serves over 22,000 hungry people in Waukegan and surrounding towns. Again, thank you for your support and we look forward to updating you at the end of the season.